Arkansas Times editors Max Brantley and Lindsey Millar talk about a big new public corruption indictment and the legislature going home. 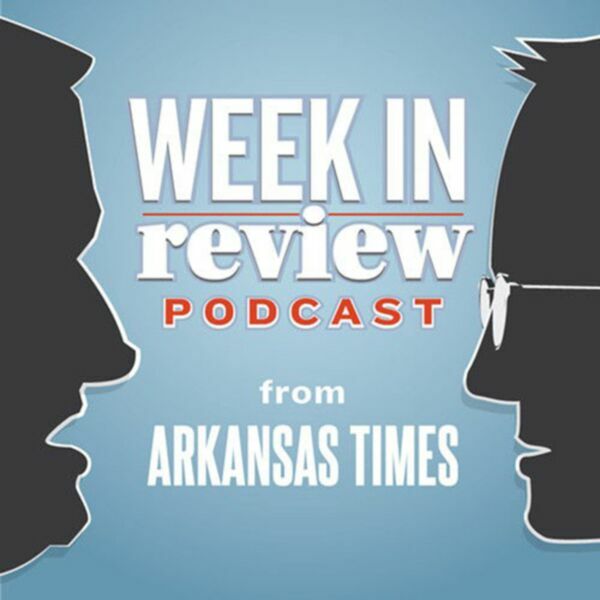 Arkansas Times editors Max Brantley and Lindsey Millar discuss the latest from the legislature, a new proposal for redistricting and Little Rock Police matters. Arkansas Times editors Max Brantley and Lindsey Millar talk about the latest from the legislature, former Sen. Jeremy Hutchinson’s legal case and football at UA Little Rock. Arkansas Times editors Max Brantley and Lindsey Millar talk about the indictment of Gilbert Baker, signs of a delay in the return to local control in the LRSD and more. Arkansas Times editors Max Brantley and Lindsey Millar talk about drama in Pope County, new Little Rock Mayor Frank Scott, medical marijuana and more. Arkansas Times editors Max Brantley and Lindsey Millar talk about the news of the week. Arkansas Times editors Max Brantley and Lindsey Millar talk about the Kavanaugh hearing and local reaction, the status of ballot issues and legislative corruption.